About Us - Shenzhen Zenhon Technology Co.,Ltd. 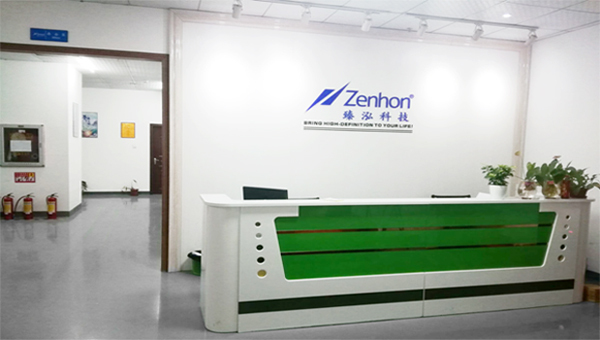 Shenzhen Zenhon Technology Co., Ltd was established in 2011,is a professional manufacturer with 5,000㎡ factory and more than 100 workers, specializing in researching, developing, producing and selling Audio &Video series products such as HDMI/DVI/VGA splitter, converter, switcher, extender and Type C series products.In 2016,Zenhon began to explore wireless charger,especially wireless car charger and creative wireless charger.And same time Zenhon Tech established an exporting and importing company in Jiangsu Province,as the subsidiary of Zenhon Tech Group,which exporting all products to Europe and America mainly. Through the joint efforts, we have integrated plenty of manufacturing lines, offering our customers various Audio/Video parts and peripherals with high quality and competitive price for 8 years. To ensure quality, we have specialist QC members to carry out strict inspections at each stage: Incoming inspection(IQC), in-process inspection(IPQC) and final inspection(FQC). In order to provide better quality products and excellent service,we becomed member of HDMI association since 2014.And got CE,ROHS,FCC,REACH for all products.Now we do OEM for some famous brands in the world,creating cooperation with WALMART, TCL,SKYWORTH,STEREN. "Sincerity, quality, and share" is our ideas. We commit ourselves to become a professional and efficient supplier and exporter for all our customers. All products are equipped with imported chips from suppliers at home andabroad such as: TAIWAN EXPLORER, PERICOM, LONGXUN,ANALOGIX,MAXIN, IPE etc. The whole process: SMT -Visual Inspection-BackhandWelding-Test- AssemblingVibraion test of finished products-Function Test offinished products-Function Aging Test-Appearance Inspection-Packaging-Spotcheck-Shipment, all materials & ingredients used in every steps conform toEurope ROHS Standard. ZENHON brings together a number of products designer, product designengineer, quality engineer and professionals in the industry to make everysteps most rationalized and humanized. 4. ALL PRODUCTS 8 ACCESSORIES PASSED CERTIFICATESINCLUDING CE/FCC/ROHS/UL/3C/TK/PSE ETC. Before shipment all products undergo strict testing, ex factory pass ratereaches 99.76%, quality maintains stable and reliable, enjoying the warranty of1 year.